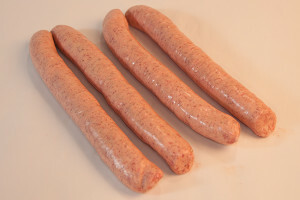 A sausage using only the best pieces of pork blended with our patented spice mixture, smoked to perfection. Perfect for grilling. A sausage using only the best pieces of pork blended with our patented spice mixture, smoked to perfection, in a smaller snacking size. Perfect for grilling. 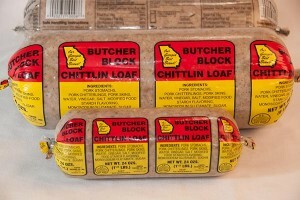 A pork product made with lean meat cooked and formed into a loaf. 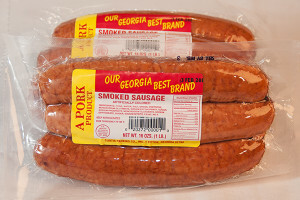 It is seasoned like your grandparents used to make at hog killing time. Just slice and eat. 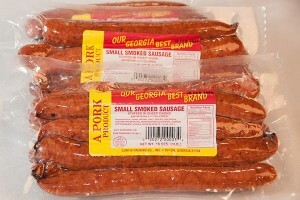 An all pork product made with pork chitterlings and pork stomachs. Slice and eat or simmer over low heat and serve over rice. 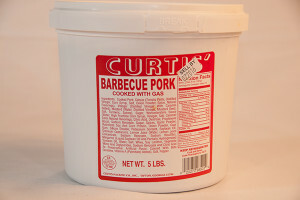 Curtis BBQ is made from boston butts and hams. It’s chopped and seasoned with a good southern BBQ sauce. 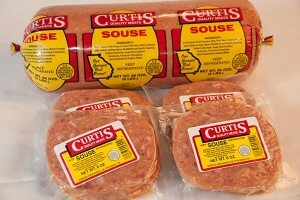 Curtis BBQ is excellent to warm and make sandwiches or serve on a plate. 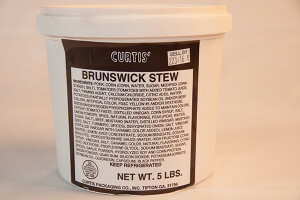 Made with lean pork, beef, and vegetables, and seasoned to please. Just warm and serve. It’s made with Mama Branch’s recipe from the 1960’s. 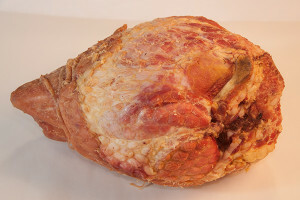 An all pork product made with boneless shoulders and hams. A mild southern seasoning that will please your taste buds. Fry, broil, or grill. Our picnics are trimmed and the hocks are cut short before we smoke them. We use less water in our curing process than other packer’s do which means less loss when cooking. This process makes our product tastier. 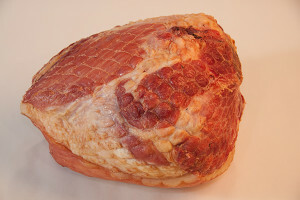 Our hams are trimmed and part of hock removed before the curing process starts. When curing our hams we don’t use near as much water as the other processers do which gives you a much drier and better tasting product. 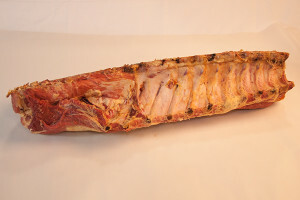 We use a trimmed center cut section of the loin and cure it with a special curing solution. These chops are great on the grill, baked, broiled, or pan fried. 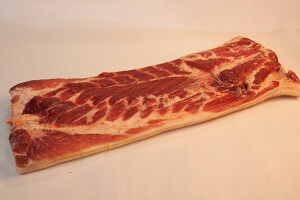 Our smoked bacon is trimmed before it is cured with our special curing solution. Good southern smoked flavor. All you have to do is slice it and cook it. Our hocks are cured in a slow process to give you the great southern flavor to season all vegetables. 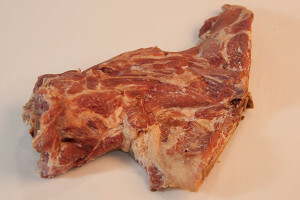 Our neckbones are cured in a slow process to give better flavor for seasoning. 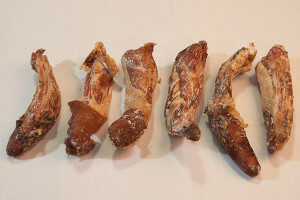 They are also trimmed to leave more meat on the bone, which makes a much better product to season your food. The pigtails are trimmed in a way that they have less fat than others. 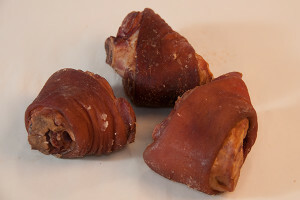 They are then cured in a slow process to give much better southern flavor. Smoked pigtails are great for cooking with vegetables. 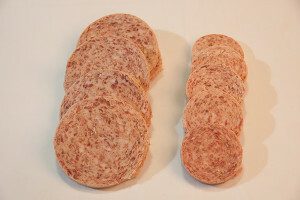 Our pan sausage is made with lean cuts of pork. It is ground and seasoned with the same spice that we have used for the last 65 years. These are made with lean cuts of pork. 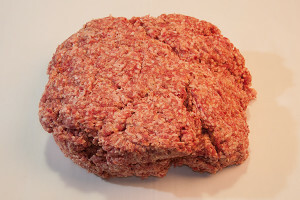 Ground, seasoned, and formed into patties that are ready to be cooked.